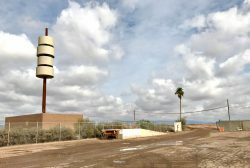 If you’ve driven on Ellsworth just north of Ray Road, you’re sure to have seen the Eastmark Cell Tower. This unusual contemporary structure was purposely designed to be both functional and aesthetically interesting, and it has turned into quite the conversation piece. But how did it come about? 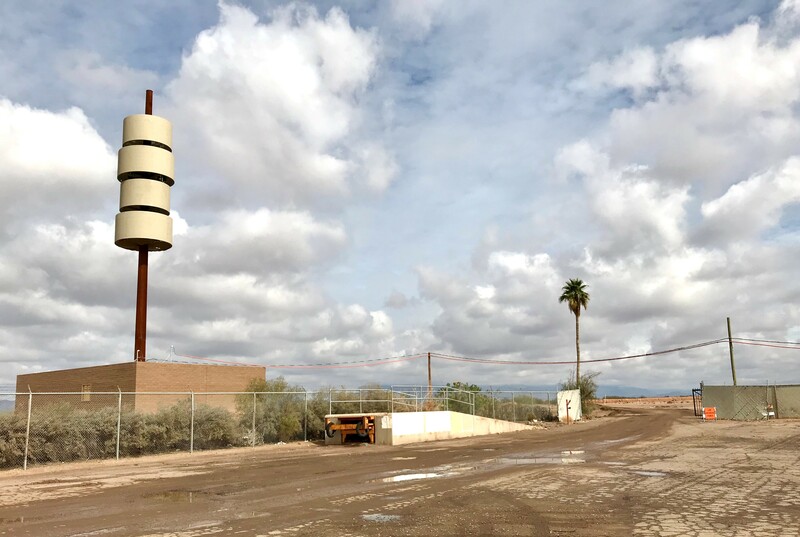 Early in the community’s planning, the Eastmark Development Team self-imposed a requirement in the zoning documents to ensure all Eastmark cell towers have some form of camouflage. Yet, they felt the “fake tree” design attracted rather than detracted attention, so they looked beyond the camouflage solutions currently available in the market. 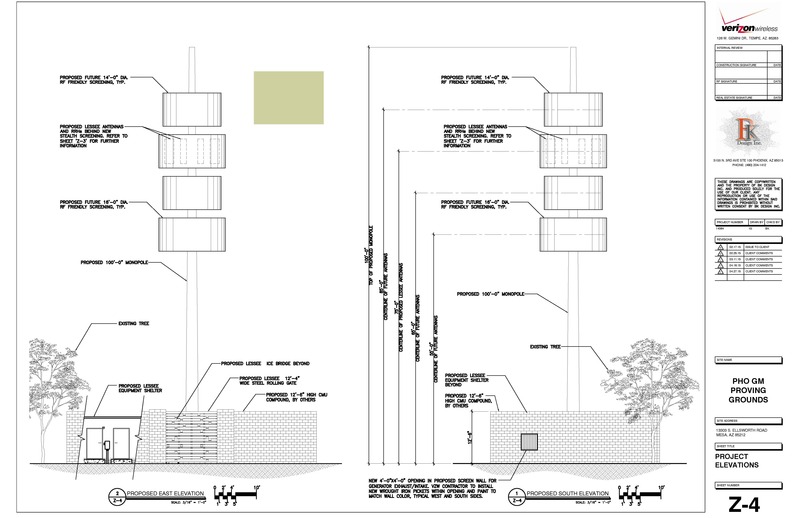 They enlisted the help of Larsen Camouflage, which specializes in cell tower design and construction to develop a new screening technique. The challenge was to find a screening system that was (1) light, (2) durable, (3) did not disrupt the cell signal, (4) provided a method for maintenance without having to disassemble the screening system and (5) was cost effective. Provides a contemporary and somewhat retro-look to compliment the overall architecture of Eastmark. Encompasses a simple design that can be interpreted in different ways. Consists of colors that blend in with the natural earth tones of the Sonoran Desert. 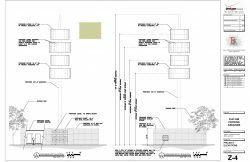 Upon completion, the Eastmark project team said the design reminded them of: Marshmallows on a stick … A car engine cam shaft … Spinning plates on a stick … and Flying saucers. Whatever image it brings to mind, it’s just one of many unique and different projects the Eastmark team takes on each year to set Eastmark apart and continue building its legacy as one of the finest master planned communities.